Burning Flame has been responsible for design and development of the URP platform for the Maggiore Policlinico Hospital of Milan. 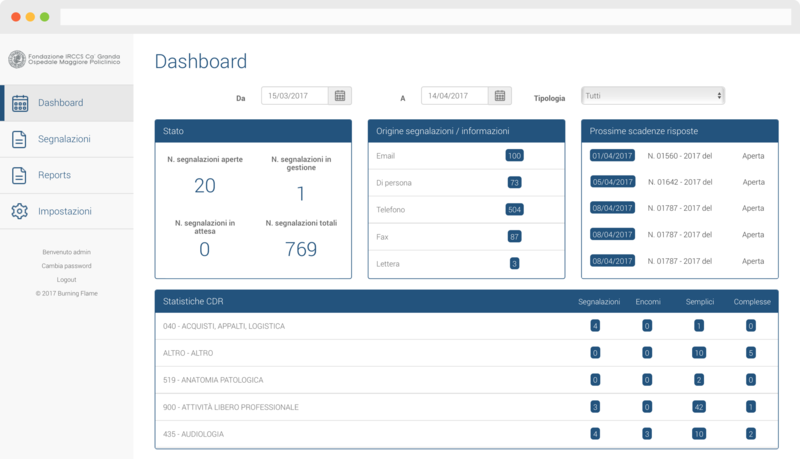 The web-app, used by the operators of the Office of Public Relations, allows the management of the reports received through various channels (e.g. email, voice, letter). Through the application it is possible to follow the entire workflow, from the registration of the practices to the closure, in a simple and fast way. An integrated email system and a feedback request to staff, helps to automate the process and ensures the collection into a single tool of all communications related to a practice. 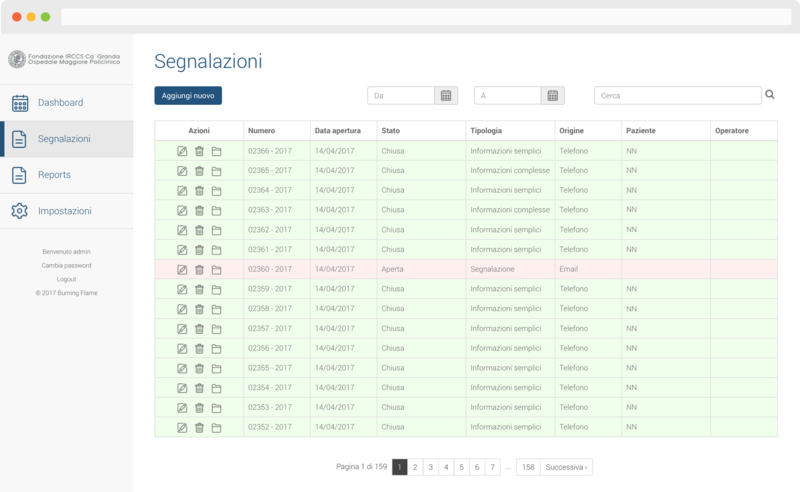 The responsive web-app, accessible through authentication from any computer, tablet or smartphone, also allows the generation of advanced reports in PDF format.